Saugus Town Hall is located at 298 Central Street, Saugus, MA 01906; phone: 781-231-4111. Photo: Boardman House, ca. 1692, 17 Howard Street, Saugus, MA. Designated a National Historic Landmark in 1961. Photographed by User:Daderot (own work), 2006, [cc-by-3.0 (creativecommons.org/licenses/by/3.0)], via Wikimedia Commons, accessed September, 2017. 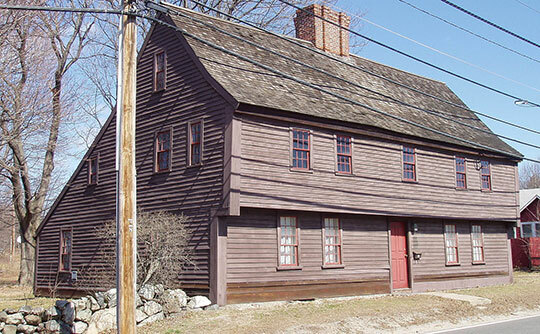 First settled in 1629, the Town of Saugus  sits just 10 miles north of Boston and offers proximity to jobs and city culture for those seeking a quieter way of life, relatively more affordable housing than neighboring communities, and access to open space and recreation. The town was home to thriving industries during the Industrial Revolution, and charming mill buildings remain as well as a historic town hall dating to 1837. Over time, the town's employment base has decreased, and Saugus has become more of a bedroom suburb. Town of Saugus, MA, Saugus Housing Production Plan, 2016, www.saugus-ma.gov, accessed September, 2017.